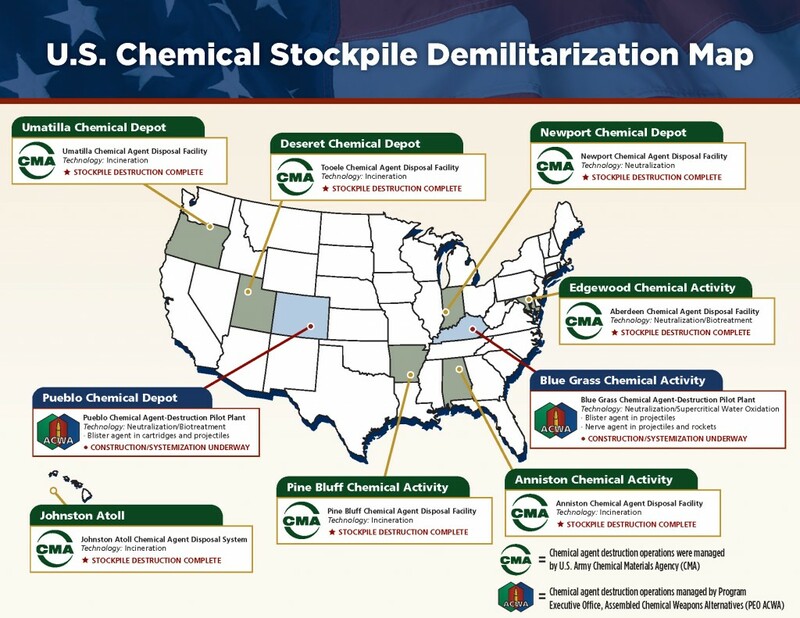 The following map and photos depict the locations of what remains of the U.S. chemical weapons stockpile and the facilities being constructed to complete the destruction of remaining chemical agents. According to a press release from the Department of Defense’s Assembled Chemical Weapons Alternatives program office, the U.S. had destroyed “nearly 90 percent of the chemical weapons stockpile” in advance of the extended Chemical Weapons Convention deadline of April 29, 2012. 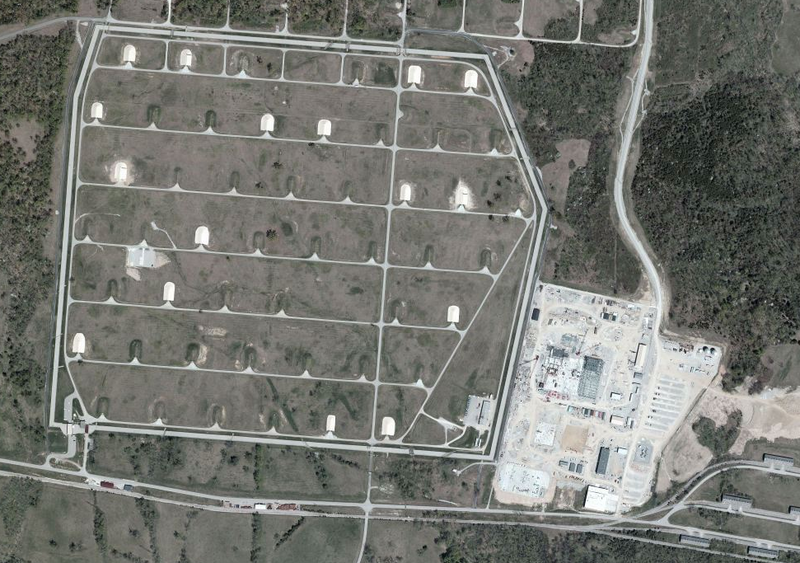 Though chemical weapons were originally stored at eight continental U.S. Army military installations, only two facilities remain active. One site is located at the Blue Grass Army Depot in Richmond, Kentucky and the other is at the Pueblo Chemical Depot just north of Avondale, Colorado. The current stockpile includes projectiles, cartridges, and rockets. All of the agents are at least 40 years old and some are more than 50 years old. Each site will eventually house a Chemical Agent-Destruction Pilot Plant to safely destroy the remaining chemical weapons. As of August 2013, both facilities are still under construction, though the Pueblo Chemical Agent-Destruction Pilot Plant appears to be significantly closer to completion. 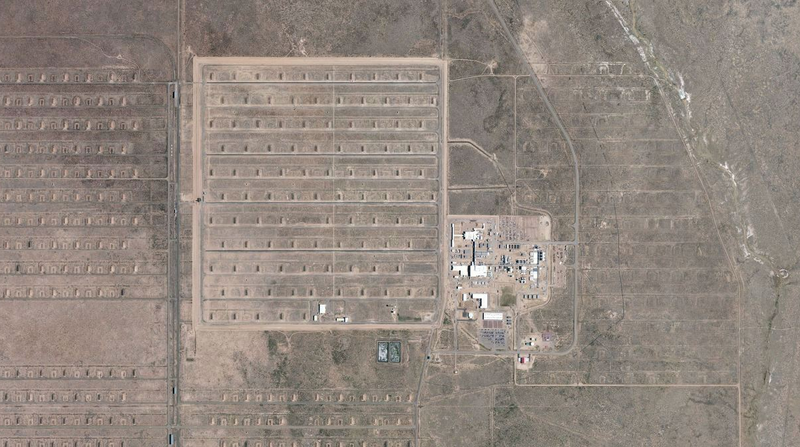 Aerial view of the Pueblo Chemical Agent-Destruction Pilot Plant site at Pueblo Chemical Depot in Pueblo County, Colorado. 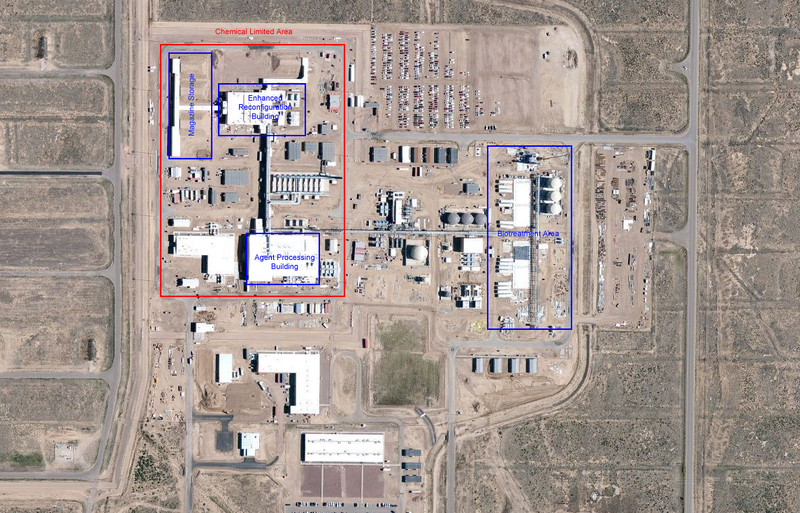 Overview of Pueblo Chemical Agent-Destruction Pilot Plant detailing the various buildings involved in each phase of chemical weapon destruction. Aerial view of Blue Grass Chemical Agent-Destruction Pilot Plant location at the Blue Grass Army Depot in Richmond, Kentucky. 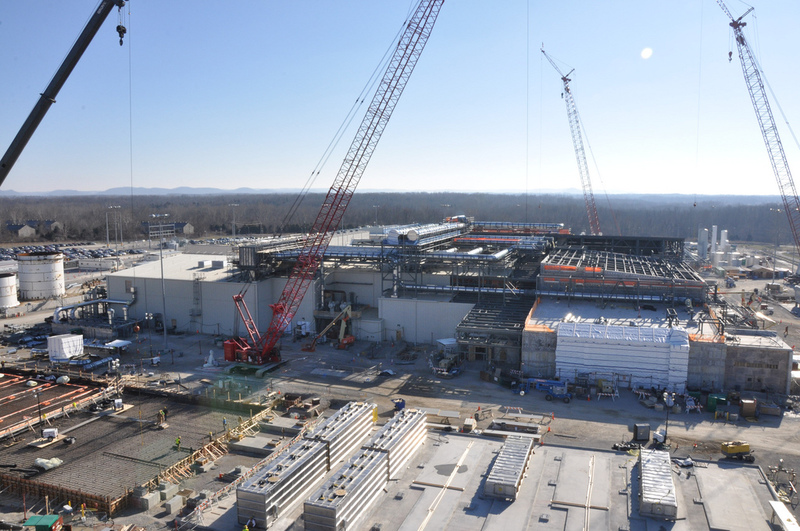 A photo of the Blue Grass Chemical Agent-Destruction Pilot Plant site as of January 2013.